The Residence Inn by Marriott Houston Westchase Hotel welcomes you to one of the most exclusive neighborhoods in the Bayou City. A corporate powerhouse, Westchase hosts companies like Halliburton, Jacobs Engineering, BMC Software and Chevron, but is also home to many restaurants, entertainment and shopping venues. Our all-suite hotel in Houston provides just what you need to maintain your normal pace during an extended stay. Enjoy a modern lobby designed with a variety of comfortable spaces, making it easy to connect with free Wi-Fi and refuel at The Market. Our hotel's spacious pet-friendly Houston suites have been enhanced with new sectional sofas, ergonomic desks, updated bathrooms and chic color schemes. Take advantage of separate spaces for eating, sleeping and working. Start your day with a free hot breakfast in our gatehouse and relax in evening at The Mix with complimentary light fare and drinks. 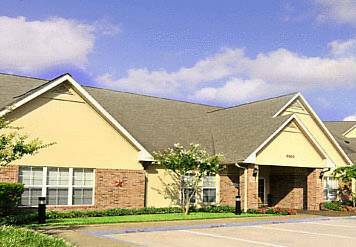 Choose the Residence Inn Houston Westchase Hotel on Westheimer. - Buffalo Bayou Tours - variety of tours offered. See website for details.